The N.C. Chronicles. : Do you believe 1 in 4 men are abusers? In Canada 1 in 4 men is 9,000,000 men are abusers according to shelters statistics. Once you put their statistics in perspective, you realise how stupid this sounds. Do you believe what feminists and shelters tell you, that your son is born a potential predator? 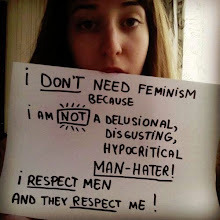 Deviant feminists do not represent you, they want to tell you what to think, when to think, how to think and how to live. Laws that are supposed to protect you, to help you, not infantilizes you to believe you are incapable of living, to grow, to work, and to evolve without the help of deviant feminism and their lobby. So that 500,000 children, made fatherless by the justice system, understand that, they are taken away from the essential link of a father figure by a justice system imbued with the feminist gospel. So that Grandparents understand how they are prevented from contact with their grandchildren by a bitter ex- daughter in law using the privileges provided by state feminism. So that parents understand why they sons became dropouts. So that fathers who must do battle with child protection, to obtain a simple contact with their children, understand why children have no chance to have a daddy. So that taxpayers understand that, their billions of hard-earned dollars are going to a group of deviant feminists, manipulating statistics for about half a billion a year. So that children who saw their fathers taken away in handcuffs, ridiculed in TV advertizing, government propaganda campaign, which picture men and fathers as criminals, understand that their father is loving and respectable, but it is the state which funds these organisations that is guilty of crime against humanity.